Smart instantaneous analyser of molten metal for sg and cast iron. Analysis of carbon silicon, nodularity, phase diagram, nodule count, secondary shrinkages, solidification mode, eutectic, hyper eutectic, hardness, tensile, micro structure and temperature measuring. 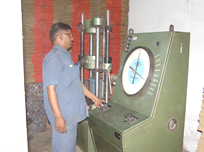 Universal tensile machine 40 tons capacity along with hardness tester. 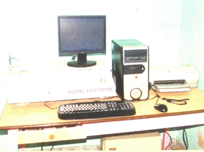 Olympus inverted metallurgical microscope bmu - 220 with video camera and computer software. At our own premises wooden and aluminium. one screw type 120 cfm.